Leave your sewing machines at home for this lecture/demo style class! Join us to learn how to prepare those precious pieces to become a quilt treasure. In this course, we will discuss stabilization products, cutting and sizing of T-shirt blocks. 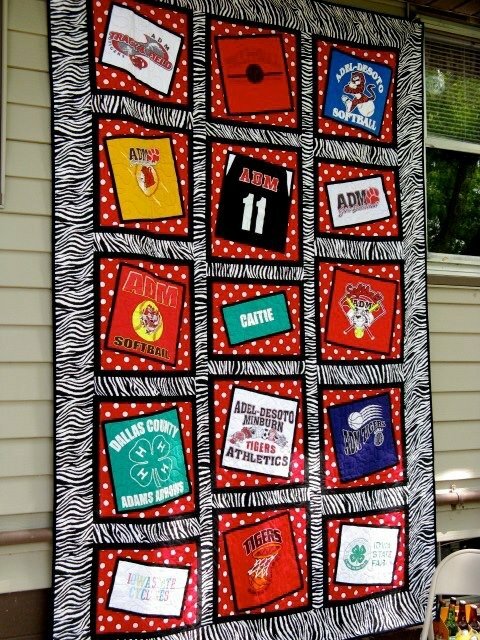 You will have time to practice this process, taking the first steps in making a t-shirt quilt. The instructor will also include tips and techniques to prepare unique items such as, football practice jerseys, soccer uniforms and many more. Bring 5-6 shirts for cutting and stabilizing during class. If you have special concern t-shirts, you are welcome to bring them to class.